14k Yellow Gold 0.6mm Diamond-Cut Spiga Chain Necklace 14"
14k Yellow Gold 0.6mm Diamond-Cut Spiga Chain Necklace 14". Features: Solid - Diamond-cut - 14k Yellow gold - Lobster. 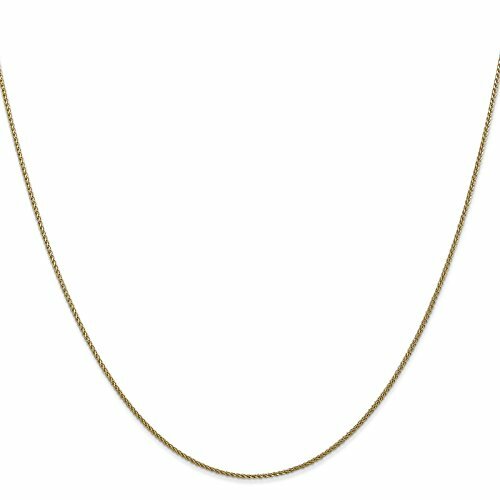 14k Yellow Gold 0.6mm Spiga Chain Necklace 14"
Available Sizez: 6", 7", 9", 10", 14", 16", 18", 20", 24", 30"